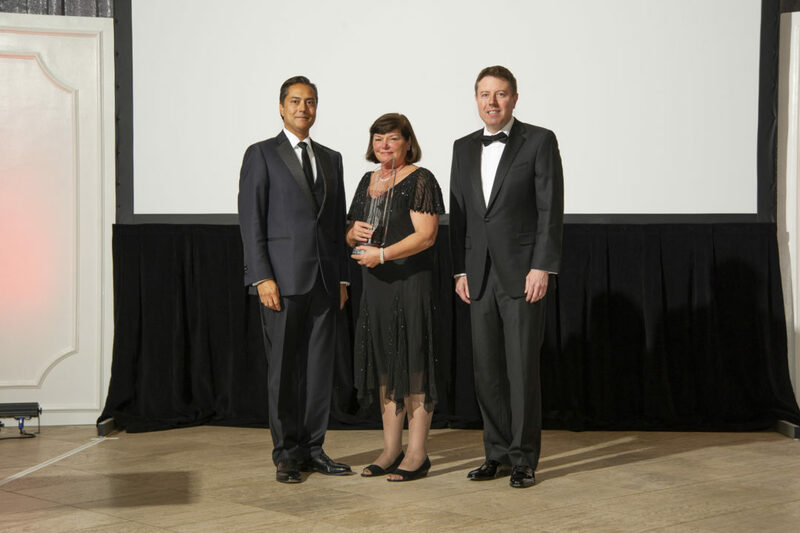 Mary Murphy, MS, RN, CNS, AOCN, ACHPN, President, Ohio’s Hospice of Dayton, was named Not-for-Profit Executive of the Year at the annual Dayton Business Journal Business of the Year event at the Schuster Center on November 8, 2018. Murphy’s journey to lead the organization began over 35 years ago. She started her career as a bedside nurse. In the decades since, she has served as a clinical team leader, educator and administrator. In her current role as President of Ohio’s Hospice of Dayton, she leads the organization’s mission and oversees daily operations to assure the delivery of superior care and superior services to patients and families facing life-limiting illnesses. 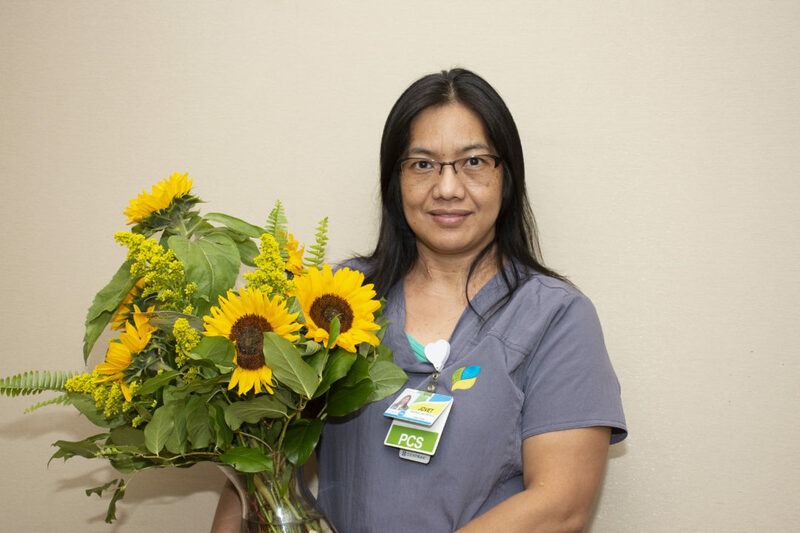 Mary has never lost her zeal and enthusiasm as a patient advocate and continues to inspire her team toward excellence in care and servant leadership with compassion. Under Mary’s leadership, Ohio’s Hospice of Dayton achieved a national first, and Mary represented the organization as it became the first hospice in the nation to earn Pathway to Excellence designation from the American Nurses Credentialing Center. This designation recognizes institutions who provide nurses the ability to operate in an environment that supports their professional needs and promotes high standards. By assuring an optimum workplace for nurses, organizations that meet the pathway to Excellence criteria demonstrate a culture of sustained excellence and staff empowerment, resulting in the successful recruitment of top candidates and staff retention through high job satisfaction. In 2018, Mary was a lead researcher and contributing author to a Journal of Hospice and Palliative Nursing article on the topic, “Evaluation of a Low Light Intervention – Starlight Therapy – for Agitation, Anxiety, restlessness, Sleep Disturbances, Dyspnea and Pain at End of Life,” and was a presenter at the American Academy of Hospice and Palliative Medicine and Hospice and Palliative Nursing Association Annual Assembly, demonstrating national leadership and spotlighting innovation in care at Ohio’s Hospice of Dayton. IMap(Individualized Mission Achievement Program) a unique program designed to recognize achievement and encourage excellence. IMap is open to all staff members and challenges individuals or groups to create and complete a project beyond normal work requirements that falls into one of four pillar categories: Education, Service, Leadership or Quality Improvement. Successful completion of IMap goals qualifies employees for a one-time monetary reward of $2,000. The Nursing Honor Guard,comprised of Ohio’s Hospice volunteer nurses who conduct a ceremony to celebrate the service and honor nurses who have life-limiting illnesses and have become patients in the care of Ohio’s Hospice. Dressed in traditional and historical uniforms, the Honor\ Guard recognizes the nurse for her commitment to caring and providing compassion to patients. Career highlights and individual achievements are highlighted as part of the ceremony, in which the honoree is presented with a pin and certificate of appreciation. 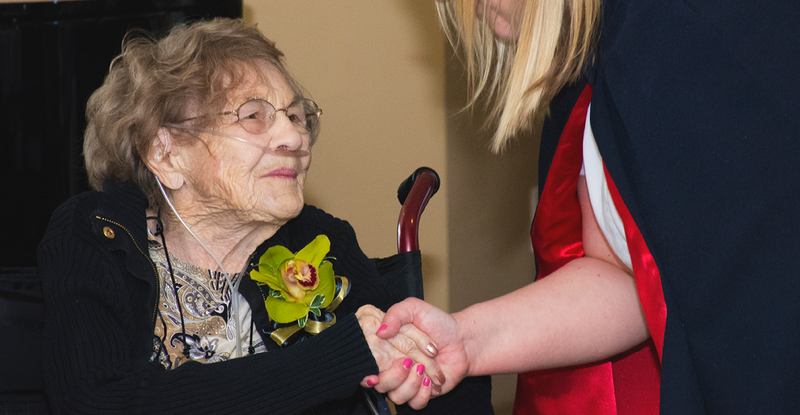 Mary exemplifies the spirit of the Ohio’s Hospice of Dayton mission of providing superior care and superior services to the patients and families we are privileged to serve. A servant leader with a true hospice heart, Mary serves patients and families, staff and community with a selfless devotion to mercy and compassion.